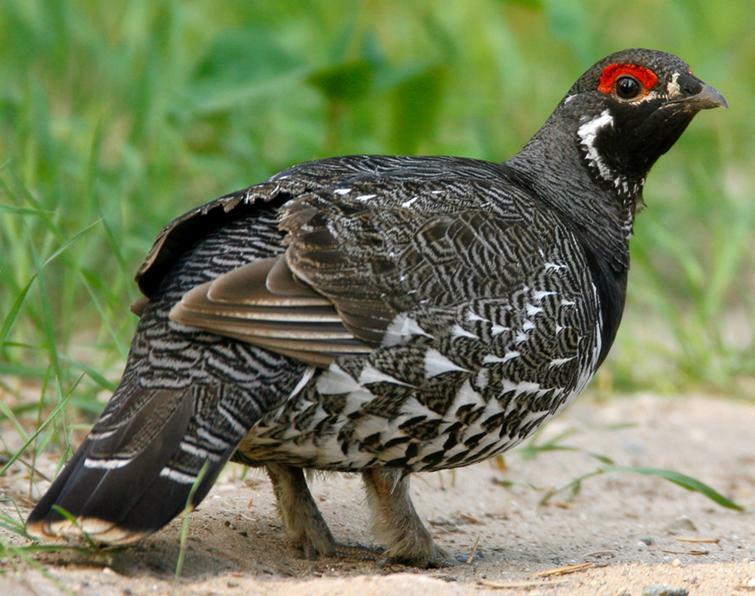 The spruce grouse is a sturdy bird with dark plumage found in the coniferous forests of North America. 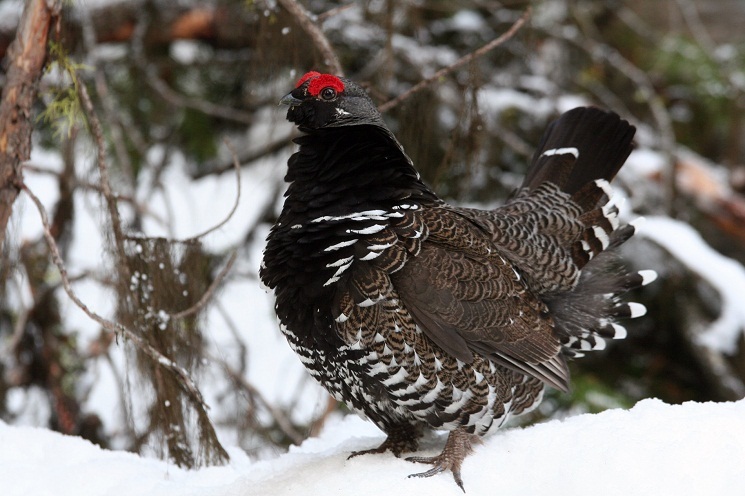 It resembles a large chicken in its appearance and is nicknamed ‘fool’s hen’. Its plumage lends it a useful camouflage to its surroundings. 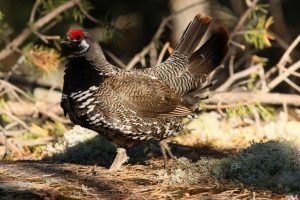 The spruce grouse’s crop can store up to ten percent of its body weight in food, and it is eventually digested during the night time. Its gastrointestinal organs adapt to its changing diet season to season. Clutch Size 4-7 tawny olive or buff colored eggs with brown uneven shades, about 40mm in length. 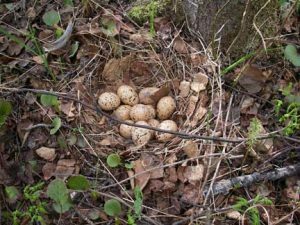 Predators Eggs are devoured by red squirrels, foxes and weasels; adult spruce grouses are taken by hawks, foxes, owls, coyotes, pine martens. Although arboreal, the spruce grouse forages both in trees and on the ground for food. 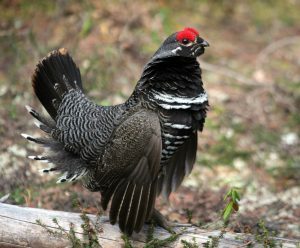 The spruce grouse does not have a vocal sac to inflate during wooing the opposite gender or territorial fights. To make up for the lack, it uses a wing-clap. The spruce grouse is more of a walker than a flier, flying only for short distances, generally from one tree to another. 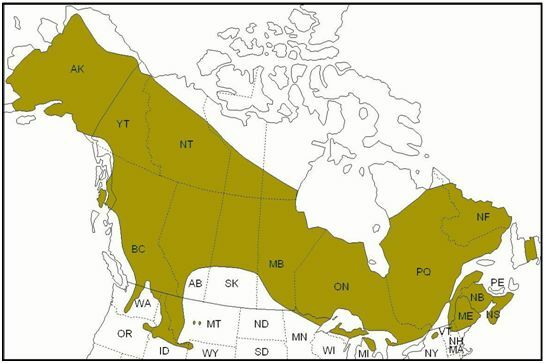 Polygamous males usually have territories that are visited by females specifically for mating. When the mating is concluded the female takes up the responsibility thereon. A nest is built during early May and early July, mostly in the ground, but also sometimes in a low coniferous branch or a fallen tree. It is bordered by grasses, leaves and feathers. One egg is laid per day, with about 33 hours of gap between two eggs. 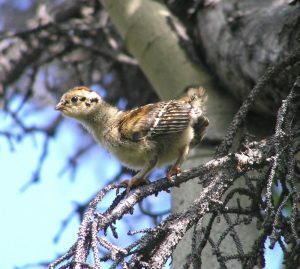 Once the eggs hatch, the young are able to walk as soon as they dry up, which takes around 8 hours. 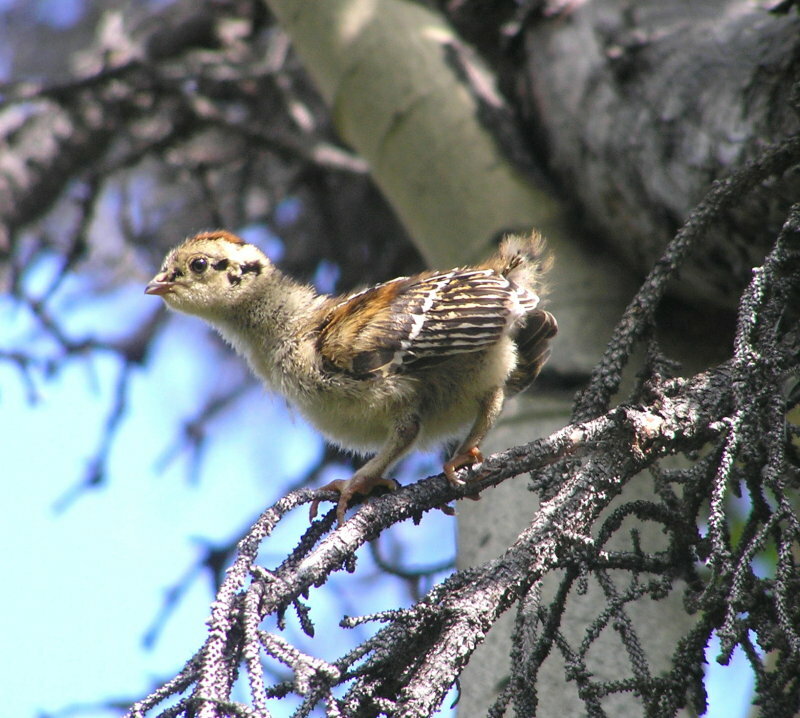 The baby spruce grouse can start fluttering at 1 week old. The brood stays in cohesion with the mother, which cares for them for up to 5 weeks. 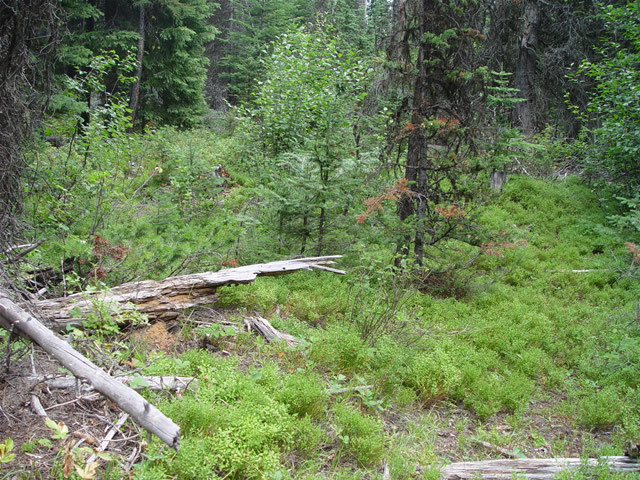 After attaining an age of 70-100 days, the young leaves its family and becomes independent. The females reach sexual maturity a year after they are born and the males after 2 years. 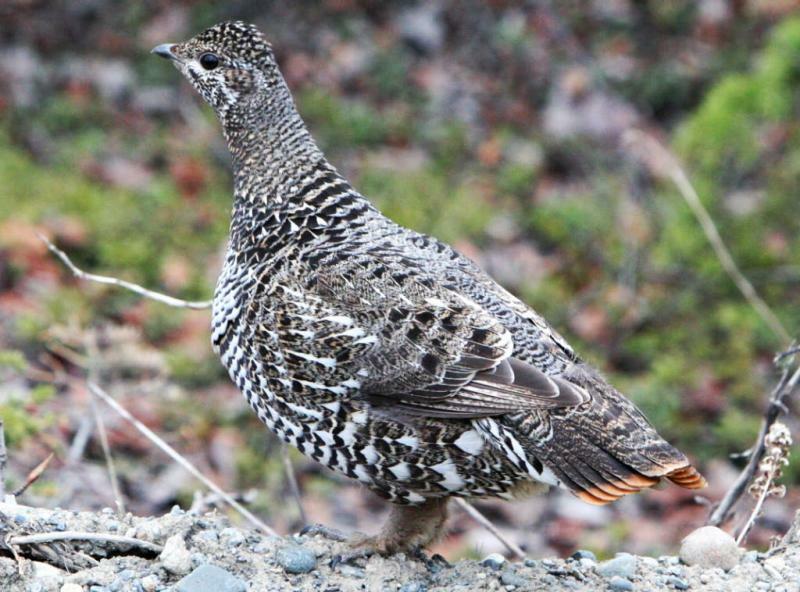 The Franklin’s grouse has been recently split from the spruce grouse and has its own subspecies inhabiting Prince of Wales Island and the Alexander Archipelago of southeast Alaska. It can stand motionless in a particular spot and blend in such due to its camouflage that a potential predator won’t even realize that it is there. 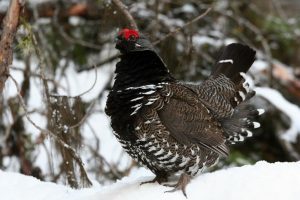 Since during the winter season, it demands more food in order to maintain its mass and energy, the gizzard of the spruce grouse grows up to seventy five percent and other areas of the digestive tract expand to about forty percent of their size to accommodate the increased diet. Published on July 25th 2016 by Sudipto Chakrabarti under Coniferous Forest Animals. Article was last reviewed on 10th August 2016.